My newest painting "Chocolate Milkshake," is the second in a series of 3 paintings featuring milkshakes! The series is inspired by one of my favorite ice cream flavors, Neapolitan. The other paintings include strawberry and vanilla flavored milkshakes, positioned in front of a similar background pattern. I am a huge chocolate fan, so making this painting was an absolute delight! When choosing the colors for this painting, I felt that the bright oranges of the background complimented the deep browns of the chocolate very well. 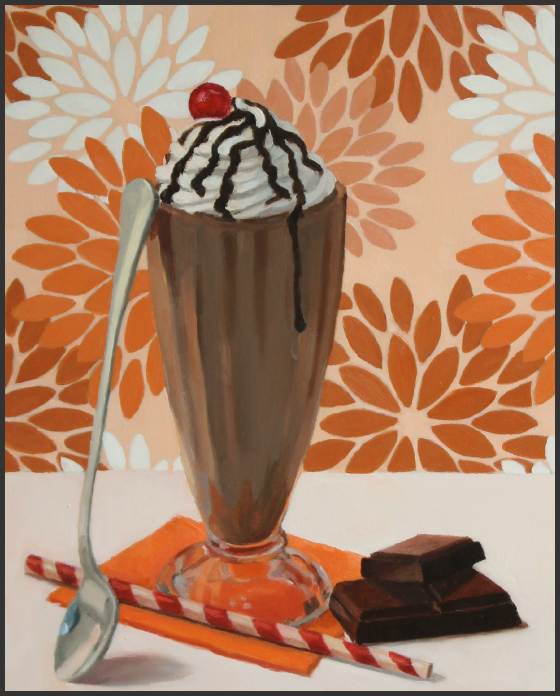 If you look back at the first painting in this series, "Vanilla Milkshake & Cookies," you will notice some similar items. In order to help tie the 3 paintings together, each will included a red striped straw, napkin, dessert spoon and classic ice cream soda glass. I am an artist with a sweet tooth! I specialize in mini paintings of desserts, juxtaposed against playfully patterned backgrounds. I post paintings regularly and sell the originals and limited-edition prints on Etsy. 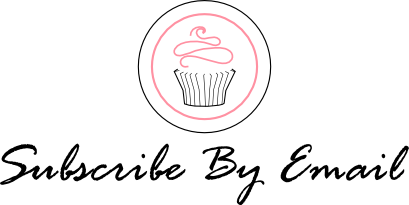 Please take a moment to "Subscribe by Email," so you'll never miss a post! Strawberry Gelatin Dessert with Strawberries! © 2015 Lora Banks Artist. Felicity Template designed by Georgia Lou Studios All rights reserved.